TIME Top 100 Novels | A Mirror of My Thoughts! Turning and turning in the widening gyre The falcon cannot hear the falconer; Things Fall Apart ; the center cannot hold; Mere anarchy is loosed upon the world. “Things Fall Apart” novel is a widely acclaimed African novel in English, and often considered as a magnum opus in Chinua Achube’s literary history. Having throughly enjoyed ‘Things Fall Apart’, I could see the why. It acted as an eye opener for me, and made me discover the African cultural fabric in a much more wholesome way. This book protagonist Okonkwo, is a self made warrior, driven by the fear of failure and the zeal to overcome weakness. In his passion to succeed against all odds, Okonkwo led his life and family with a iron hand, never giving away his affection or emotion. From rags, Okonkwo raises to fame as one of the reputed warriors in Umuofia by sheer hard work. Under the pretense of strength, he even survives the sacrifice of his adopted son’s sacrifice and endures severe hardships to earn his way as one of the most powerful men in the clan. Yet, inadvertently he commits a mistake and had to leave the clan for a period of seven years. Here is the novel takes an interesting turn where we are introduced to the silently creeping change in the Igbo culture due to introduction of Christianity, missionaries and modern education. Rooted in the ancestral beliefs, Okonkwo finds it difficult to accept the shifting norms of the village under the colonial rule that altered many deep seated cultural customs of the village. With a dignified grace, Achebe narrates the cultural change that happened in the history to highlight how certain things would be so difficult to mend once broken. Things fall apart. Agreed and that could be a powerful perspective to explore the sweeping change in a cultural or a historical context. I loved the way Achube brought forth the complex norms of the African culture and dispelled the stereotypical imagery of the primitive Africa. Here are some of the quotes from the book that moved me immensely. “Why should a man suffer so grievously for an offense he had committed inadvertently? But although he thought for a long time he found no answer. He was merely led into greater complexities. I just loved this book and there is no exaggeration here. 5) Tag five people, and acknowledge the person who tagged you. 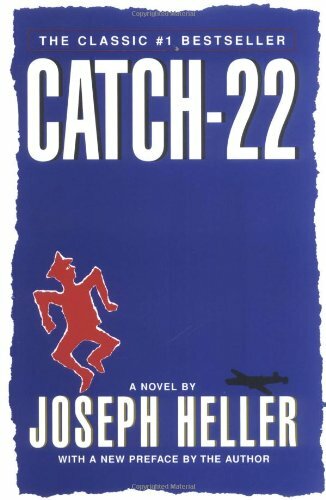 Page 123 in Joseph Heller’s Catch-22 talks about Captain Black, one of my favorite sections in this book that evokes a wicked grin in an instant. The six to eight sentences in that page are posted below. 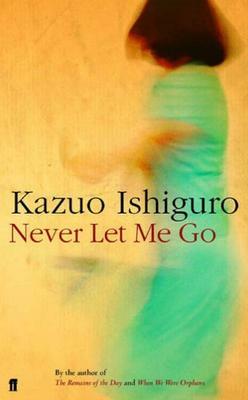 A thought so chilling to even to think about, finds life and voice in ‘Never Let Me Go’. This novel is set in a school by name ‘Hailsham’ where cloned children are reared in an artificial establishment to be the donors of future. A world completely devoid of moral implications and incredibly insensitive to the sensitivity of human emotions. A world of three kids: Kathy, Ruth and Tommy, filled with what seems like a benign bliss of childhood unravels into a great sham of artificiality, where simple words like ‘donations’, ‘complete’ assume grotesque ramifications. Subtly dark and infinitely sad, this book casts a fatalistic note on human lives that are led in a cloak of artificiality. Probably, thats why my heart didn’t ache for the characters, though it bled for the sheer helplessness of the situation. A deep seated loathness for a place from which there is no escape, rather than to await the dead end that is reserved by the time one is born. This book sets itself not to explore the technicalities of cloning or the perils of being a clone, but rather captures the fine nuances of humanity in minute detail and makes one wonder about the core definition of it. The context of the book feels artificial, the tone has a note of fatality, yet the people feel awfully natural. Albeit, cast in a cloud of cold desolateness. This book is not for those who are on look out for heroes. For all the characters are patient victims in waiting for their end, leading a life as if its on loan, with an air of detachment around them which they flaunt mercilessly, accepting in silence the grim fatality of the life that they are leading. How glad I was that this story is still a piece of fiction and not a disgusting manifestation of the modern day genetic experiments that intend to deliver greater good to greater lot at the cost of assured unhappiness for some. In early 18th century in Peru, a famous suspension footbridge over a deep gorge broke and took the lives of five people into the gulf below. After this unfortunate accident, Brother Juniper is haunted by the question: “Why did this happen to those five?” As quoted in the book: If there were any plan in the universe at all, if there were any pattern in a human life, surely it could be discovered mysteriously latent in those lives so suddenly cut off. Either we live by accident and die by accident, or we live by plan and die by plan. Pondering over the cosmic order, Brother Juniper investigates the secret lives of those five people in rich detail in an attempt to discover the reason behind their demise. Here is when Thornton Wilder excels in introducing us to the intimate details of those five people who seem to be united only in their longing for acceptance, and love. There is a rich, aristocratic and elderly Marquesa suffering from unrequited maternal love and pangs of loneliness, spends her time composing brilliant and elaborate letters to her cold hearted daughter Clara in Spain. Accompanying her is little Pepita, an bewildered and distressed teenage orphan girl trying to live up to the high expectations of an Abbesses who is grooming her as a successor. There is Esteban, the poor twin who is left alone and bereft in an uncomprehending world after his twin brother dies. Uncle Pio is a wise wanderer, a man of exceptional talent who has devoted the best part of his life for the flourishing career of actress Camila Perichole. He becomes disappointed when actress Camila Perichole renounces her stage career for becoming a Lady and shuns herself from the world when she contracts small pox. Uncle Pio requests Camila Perichole to send her youngest sickly son Jamie with him to Lima so that he could educate the boy into a gentleman. Little Jaime joins his Uncle Pio only to loose his life on the fated bridge. 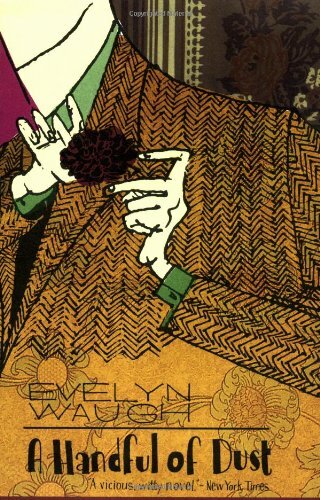 ‘A Handful Of Dust’ from Evelyn Waugh is one of the first and finest satirical fiction that I read since a long time. With an intriguing title lifted from ‘The Wasteland’, Waugh indeed paints a satirical stylish picture of the society through the breakup of the marriage of Brenda and Tony Last. Laced with wry wit, sarcastic humor and subtle irony, Waugh elegantly draws out the superficiality of the upper class. Tony is happily married to Brenda and to his Victorian Gothic country home. In love with the happenings around London and bored by the country lifestyle, Brenda fancies herself in love with an opportunistic and worthless social climber Mr. Beaver. When Tony’s Son is killed in an accident, Brenda reveals her affair to Tony and requests for a hefty divorce settlement that forces Tony to sell his home. Betrayed by his wife, Tony embarks on a harebrained expedition to discover a lost city deep in jungles, only to find himself as a prisoner to a Mr.Todd. The novel signs itself with Tony resigning himself to read Charles Dickens’s works to Mr.Todd in jungles for eternity, and Brenda marrying one of the obliging Tony’s friends as her lover Mr. Beaver leaves her for New York, whilst the house went to Tony’s distant relatives. The casual tone in which Brenda’s betrayal of Tony is handled and the social sanction it received makes one wonder at the moral corruption of the society. Being Amusing, melodramatic, tragic and cold, Waugh brings out the phoniness of the aristocratic society in a subtle sarcastic fashion that’s beautifully supported by a vividly descriptive style. A great example of dark humor that presents a scathing commentary on the society and the phony relationships. “She was right though. It is “If a body meet a body coming through the rye.” I didn’t know it then, though. I was in half love with this ‘Holden Caulfield’ by the time I am through. I really am. For his age of Sixteen, I didn’t know anyone who is more clear thinking and muddle headed than he was. A bundle of teenage rebellion, that he indeed was, with little regard to play by the rules. He has these itsy bitsy darn complaints about the phoniness in the world that makes you dig into the childhood memories and offer a sigh at those days of carefree innocence. The disconnect that he feels from the world, the perils of growing up, the burden of responsibilities, the alienation from the society, the loss of his brother Allie, his pursuit for independent identity, and his naive frustrations – didn’t we all go through some of them in our adolescence? Just like the Lagoon in Central Park which is “partly frozen and partly not frozen”, Holden comes across as an embodiment of teenager who is caught between the dilemma of growing up to a responsible adulthood from carefree mirth of childhood innocence. Holden narrates his two days of his life after getting an ax from Pencey Prep School for his poor academic performance. We share the deeply private fantasy world of Holden, through his candid confessions which fill the book and occupy your mindspace. Often endearing and often shallow, refreshingly, Holden remains the same simple ‘heart on my sleeve’ kid even as he ends his narration by celebrating Phoebe’s cheerful mood on a park ride. What is unique about this novel apart from Holden’s red hunting hat, is the flow of Holden’s experiences in first person which run as a simple commentary on life. Cynical, bitter, nostalgic and intimately introspective, one can’t help but appreciate the colorful innocent world that Holden inhabits. The Lion, The Witch And The Wardrobe.. The TIME’s list has offered me a perfect excuse to read this fantasy novel, which I have been stalling since an year. I think this is the first time when I have read a book after watching its digital recreation. And that indeed makes a huge difference. Every book unfolds a mystical world for me, and as I live through the magical fantasy it creates, my mind acts on flashes of inspiration to shape the actors based on the characterization and the flow. The movie already supplied the mental images of persona in vivid detail and my experience is that of an explorer venturing on a well-heeled ground. It did put me on an evaluative mode than on an experiential mode. I couldn’t help wishing for a first person narrative ( I have a huge complaint with the narration style), and a detailed characterization of Aslan though I think it would be answered by the rest of the books in the series. Overall, an entertaining book, and in retrospection, I admit that I enjoyed the movie better. “Are they?” said the Professor; and Peter did’nt know quite what to say.